Ada pertanyaan untuk Pearl City Hotel? Terletak di area Bambalapitiya yang menyenangkan, Pearl City Hotel memiliki posisi yang sangat bagus di pusat berbelanja, melakukan aktivitas bisnis di Colombo. Hanya 3 Km dari pusat kota, lokasi hotel yang strategis ini memastikan para tamu agar dapat secara cepat dan mudah mencapai ke tempat-tempat menarik. Untuk pilihan lokasi jalan-jalan dan obyek wisata lokal, Anda tidak perlu pergi jauh-jauh karena hotel ini terletak dekat dengan Bullions Exchange, Premire Pinnecle Pasific, MGM Casino. Gunakan kesempatan untuk menikmati pelayanan dan fasilitas yang tidak tertandingi di hotel Colombo ini. Hotel ini menyediakan layanan kamar 24 jam, WiFi gratis di semua kamar, resepsionis 24 jam, check-in/check-out cepat, penyimpanan barang untuk menjamin kenyamanan terbaik bagi para tamu kami. Pearl City Hotel memiliki 69 kamar tidur yang semuanya dirancang dengan citarasa tinggi. Banyak diantaranya memberikan kenyamanan seperti televisi layar datar, akses internet - WiFi, akses internet WiFi (gratis), kamar bebas asap rokok, AC. Daftar lengkap fasilitas rekreasi tersedia di hotel termasuk spa, pijat. Pearl City Hotel adalah pilihan yang cerdas bagi para wisatawan yang berada di Colombo dan menawarkan pengalaman menginap yang menenangkan setiap saat. This is at the Bambalapitiya junction. It's a super location for tourists and city-business travellers. However, the rooms are a bit old. Good size tho. The rooms smell like smoke even though this was a non smoking floor. Good value for money. Good location. If you don't mind old smokey rooms. If not, go to Pearl City grand. Do not expect much from hotel just value for money Food specially veg indian food in its sister hotel Grand pearl is brilliant rest all OK. OK for short stay only,Rooms are very small and only ok for sleeping. Check in OK! BOOKED NON -SMOKING ROOM ! JUST LEAVING ELEVATOR FLOOR 6 SMOKING SMELL SURROUNDS YOU...SO IN MY ROOM!! HORRIBLE.!!! ASKED FOR NEW ROOM. FINALLY ON FLOOR 5. BUT EVEN HERE SOME SMELL ..(NON-SMOKING FLOOR! BUT LATER WATCHING A ASIAN GUEST WITH SIGARET IN HIS OPEN DOOR ROOM! ..I TOLD THIS RECEPTION...BUT NEARLY NO ACTION! SO I'LL SKIP THIS HOTEL ! I have stayed perl city for 4 nights during my business visit. Very well maintained rooms,friendly staffs,nice complementary breakfast with multiple options. Property is close to marine drive which is best for morning/evening walkers. The breakfast is pretty ordinary. No fresh bread, bland omelette. For the price the chef could come up with something a little more interesting. Lack of coffee/tea making facilities in the room. Surely for a 3 star hotel this should be a given. 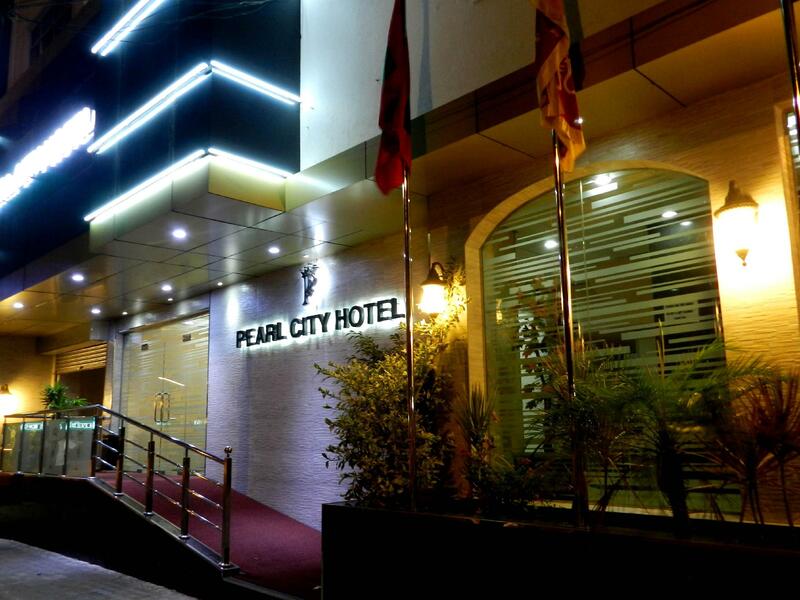 I would recommend the hotel across the alley, Pearl Grand hotel. It was cleaner and didnt smell. I chose this hotel due its location. That is the only good thing about it. Due to construction next door, there is too much noise during the day. This is sort of a budget hotel. Good for a sleepover. Excellent location. Super clean and good hotel. Recommended for others. I stayed one night in transit. The hotel is poorly maintained and very unhealthy. Staff is friendly but not honest. I just forgot to collect set of clothes and call back soon after check out. They said they canno find them! We arrived at 2am to a room with dirty dishes outside the door and used sheets on the bed. We got them changed for the next day. Room telephone did not work so bellboy was sent up to tell us our taxi had arrived. Smell was appalling in the lift and the bedroom. No idea why it is mentioned in lonely planet nor why people are rating it any better than disappointing! Stay was comfortable. Some bad smell near the elevator on our floor. 4-5 minutes from Barefoot Store and Restaurant. However, after 3 nights, room only, booked additional 2 nights, Room + breakfast...very satisfactory. 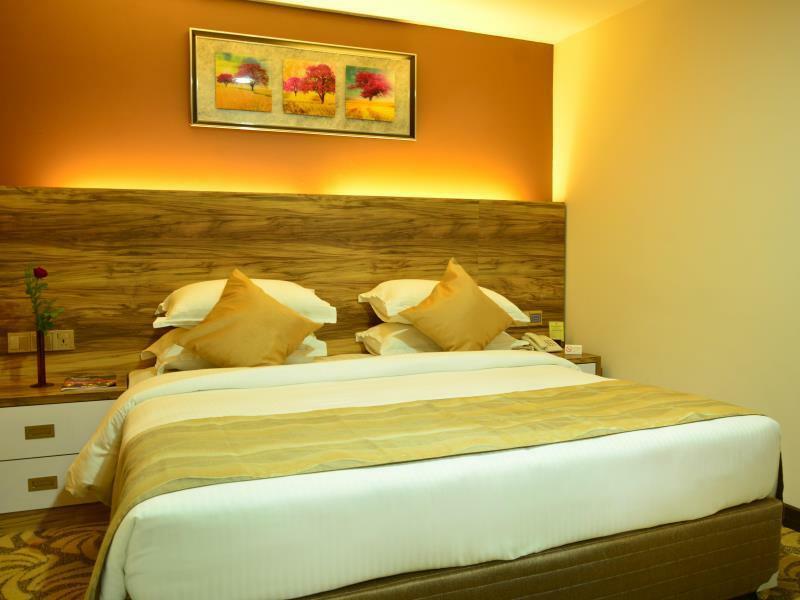 Guests have free access to the rooftop pool and health club of the adjoining Pearl Grand Hotel, which also has a very good Kohinoor Restaurant, where Pearl City Guests can have their buffet breakfast, which is extensive and good, with western as well as local food, and waffles and egg station. Pork is not available as the owners are Muslim. Delighted by the efforts and attention of the restaurant staff. The staff in both the properties go out of their way to attend to the guests' needs. Near Majestic City Mall, which has a Pizza Hut and KFC, open late, and a very average food hall, closes at 9pm. A few other late night restaurants are with 3 to 15 minutes walk on Galle Road. Staff was friendly and helpful. Had to do without aircon for the 2nd night there and furnitures were falling apart. Other rooms suffered intermittent power failure. Overall bad experience staying in the hotel. I stay at this hotel every time I visit Colombo. This visit, there were mosquitoes in the room and heavy construction noise from the next door. It was too difficult to get a good night sleep. Was in Colombo for 2 days. Hotel location is perfect. Seriously needs refurbishing and color wash. Never tried the breakfast buffet. Can walk to restaurants and shopping malls. + Good location and staffs are friendly. I could not get any sleep as next to my room there was construction going on and loud sound of drilling throughout the night.